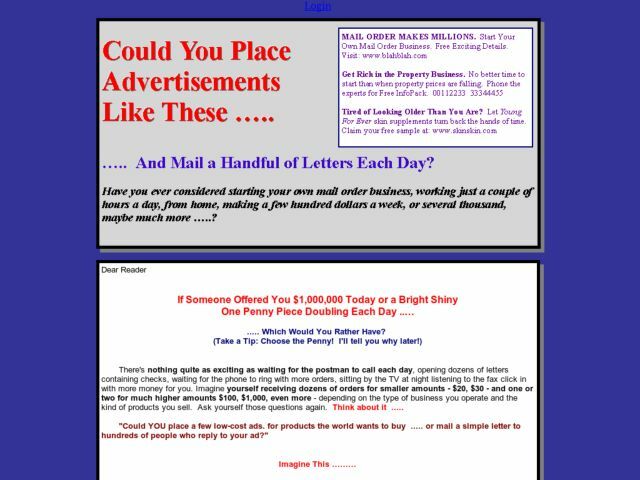 Mail order and direct mail are uniquely easy businesses to start and profit from, are immensely exciting and enjoyable and, best of all, open to virtually anyone. Work anywhere in the world you like. Needs no special office or business premises. Little investment needed and no stock to hold. No face-to-face selling involved, no need to meet customers in person. Put the whole thing on automatic pilot and take time off whenever you like.